About the Book: Time jumper Emily Heart narrowly escaped the deadly encounter at the reporter’s home, but now finds herself floating in a cold, damp place filled with a sea of colors and certain death. 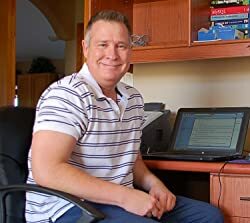 About the Author: Jay J. Falconer is an independent author, publisher, blogger, editor, engineer and Sci-Fi junkie who lives in the mountains of northern Arizona where the brisk, clean air and stunning mountain views inspire his workday. Mr. Falconer is currently developing an all new action Sci-Fi series called Redfall. The first season is expected to be released in 2015. His blog can be found online at www.IncursionMag.com. Check it out if you're interested in reading about the latest breakthroughs and announcements within the science and technology fields. 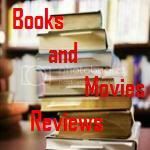 My Review: This is the third part of this time travel series. I strongly suggest that you read the first two episodes before reading this one. The story will make more sense if you know what happen up to this point. In the previous episodes, Emily Heart, our heroine, is a high student that is abducted together with her mother, when they are going to church. The abductors ended up killing her mother and she manage to escape. Having her body genetically altered, she now possess abilities that she cannot control. She starts jumping forward in time when she goes over strong emotional stress. Now she is homeless in Phoenix, trying to survive between her jumps in time. One of the most important rule she created is to never get involved with anyone, but she ends up meeting Junie in a homeless shelter. Junie is a young girl that lives in the streets. Emily also meets Derek, another street character, member of a dangerous street gang. One of Emily’s new abilities is to sense the real interior goodness of people when they are close to her and she knows that deep inside Derek is a good person. Another character is Jim Miller, a reporter that is following Emily’s appearance and has a full folder on her, with photos over a 30 year span showing that she did not age at all during this period. He tries to contact and protect her. In this new episode Emily faces more challenges and the story starts from her escaping a deadly encounter with the "Orange man", one of her abductors. She starts questioning the loyalty of some of her friends. Duane and Nora come to her rescue, increasing her group of friends. An unexpected twist at the end changes the balance and her life gets new meaning and new uncertainties. The author raised the bar on this episode, increasing the interest of the reader to a level that I have to scream that I want more and more. How will that story end? The author did and incredible job creating a whole plot with his innovative way of exploring time travel. His characters are real, credible, and fully developed, in a way that we start cheering for Emily in every turn of the pages. Very well written, with excellent grammar and vocabulary, the author got me hooked. I will be buying the remaining of the series to find out what will happen to Emily Heart. I recommend this book to the permanent library of any reader who appreciates a very well written time traveler story. They will not be disappointed at all.